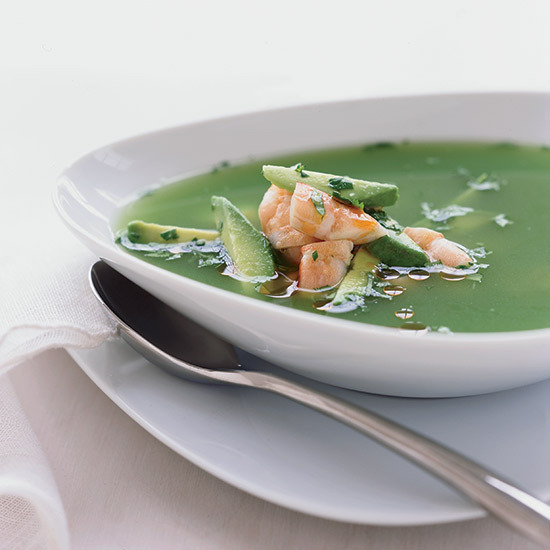 These excellent recipes include chilled cucumber soup with salt-roasted shrimp and sausage and broccoli rabe burgers. 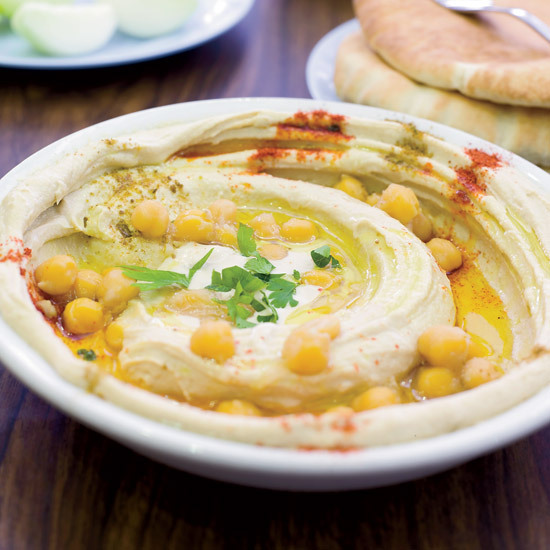 Before opening Zahav restaurant in Philadelphia, chef Michael Solomonov visited hummus parlors all over Israel trying to find the best recipe. “Hummus is the hardest thing to get right,” he says. “It has to be rich, creamy and mildly nutty.” To make his hummus luxuriously smooth, he soaks the chickpeas overnight with baking soda to soften them. Jose Garces prepares fresh coca dough, a Spanish dough similar to pizza dough, for the flatbreads. He also cooks dried garbanzos for the bean puree that’s spread on top. 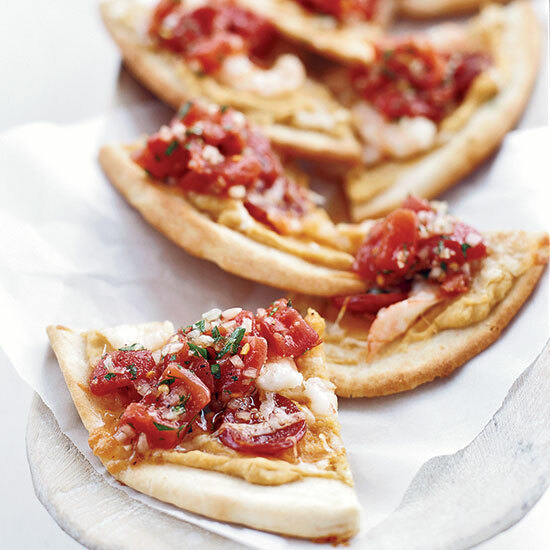 In the easy way, store-bought pitas take the place of coca dough, topped with good-quality prepared hummus, fresh shrimp and spicy slices of chorizo. At Xochitl, this grilled steak is served with a side of creamy corn and poblanos, as well as roasted butternut squash and spiced pinto beans. 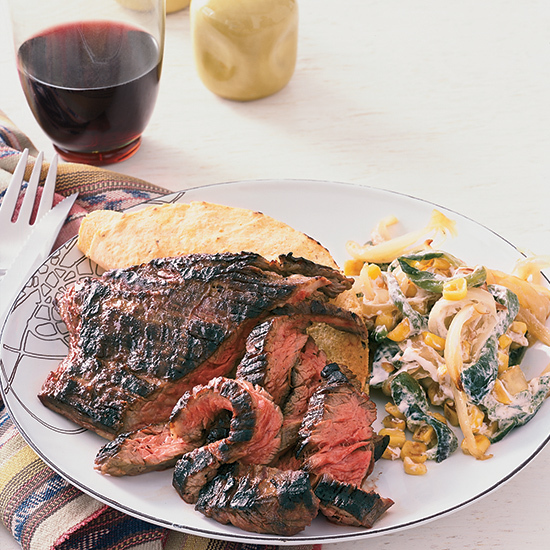 In the easy way the corn, made rich and tangy with sour cream, is a delightful accompaniment to the grilled skirt steak all on its own. Drop the butternut squash and the spiced pinto beans, which are substantial enough to serve as a main course. 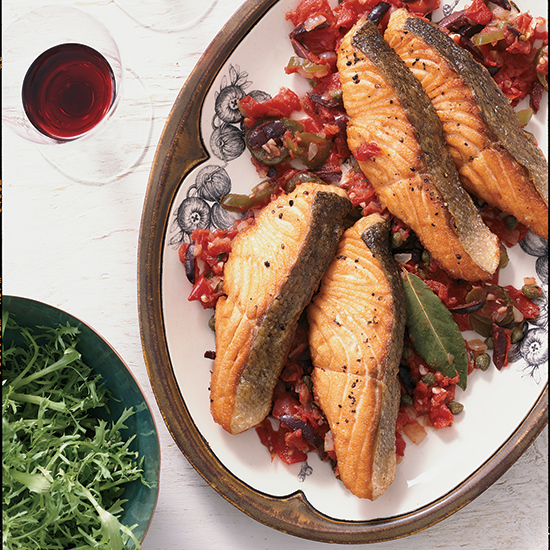 Dionicio Jimenez serves his luscious salmon in a tomato sauce spiked with olives, capers and pickled jalapeños. The accompaniment: Mexican rice flavored with carrots, green beans and corn. In the easy way, skip the Mexican rice; the sauce for the salmon is so delicious, it’s perfect spooned over yellow rice. 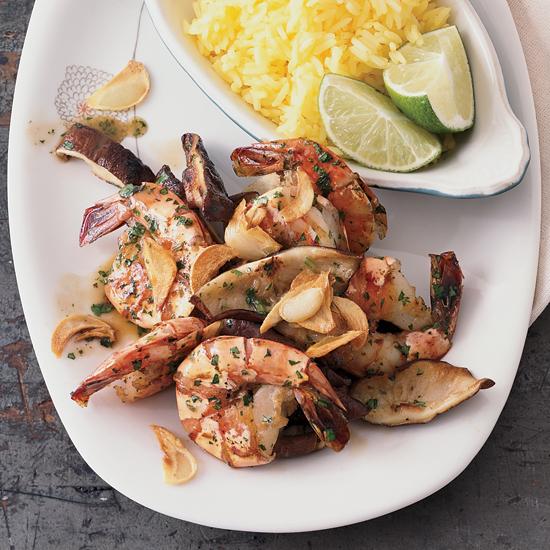 Dionicio Jimenez serves the shrimp head-on, alongside Mexican rice. In the easy way, buy shrimp without the heads on, and ask your fishmonger to butterfly the shrimp for you. 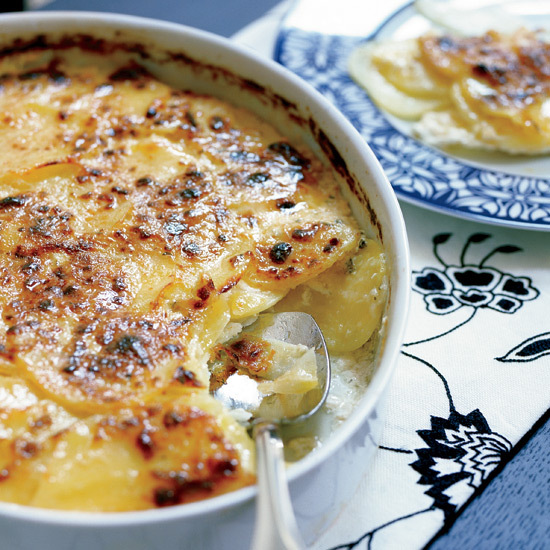 Jose Garces prepares this dish with hake, a relatively hard-to-find cousin of cod. He also uses fresh juice from shucked clams to make the delicious broth. 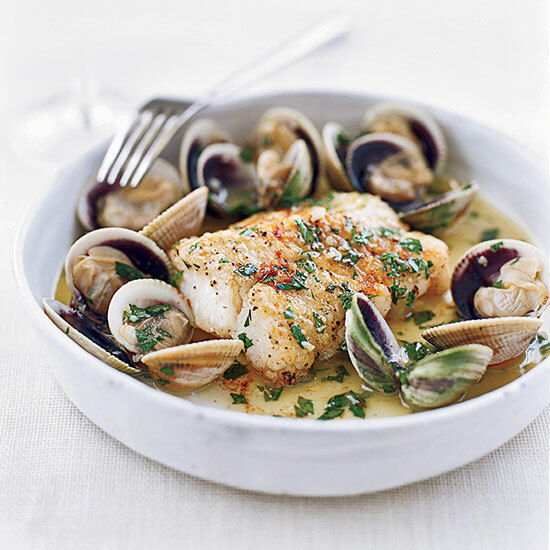 In the easy way, fresh cod stands in for the hake, and bottled clam juice replaces fresh. 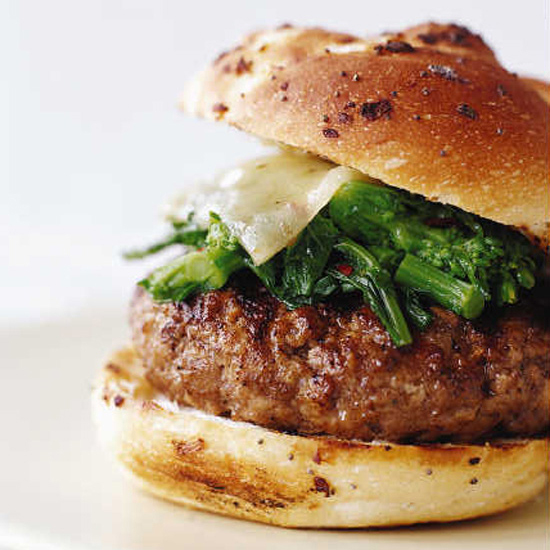 Marc Vetri, the chef and owner of Vetri in Philadelphia, believes that many of his favorite Italian ingredients—homemade sausage, broccoli rabe and Fontina cheese—go wonderfully with pasta, but make even better burgers. Preparing the salad dressing is a multi step process that includes letting chopped shallots soak up the flavors of mustard, thyme and vinegar before mixing them with olive oil. 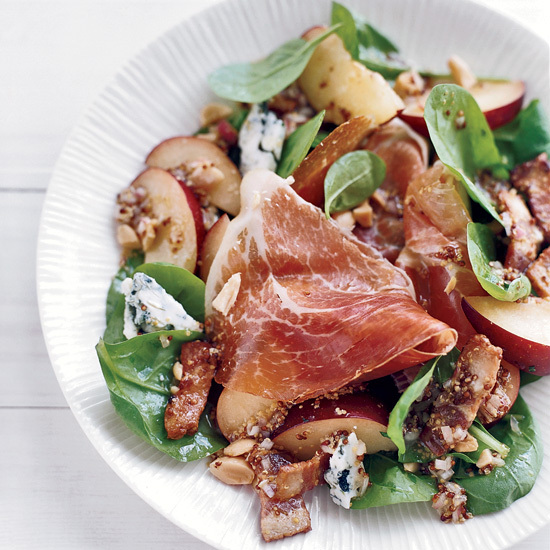 In the easy way, start the salad dressing in a skillet (no marinating involved), then finish it in a bowl with all the other ingredients.